Missile wars over the sea by Russia and Japan were reported in all news channels in December 2007. Sea is increasingly used as a platform for missile wars which is disturbing. The K-114 Tula (Delta IV-class) nuclear submarine of the Northern Fleet on December 25, 2007 fired a Sineva intercontinental ballistic missile from Barents Sea in the Arctic, targeting a test site on the Kamchatka Peninsula in Russia’s Far East. 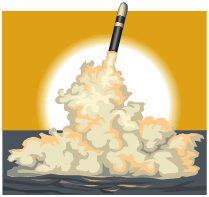 A simulated warhead reached the target at the Kura testing ground at the designated time. The RSM-54 Sineva is a third-generation liquid-propellant intercontinental ballistic missile inducted in the Russian Navy in June 2007. It has a reported range of 5,500 miles. Unlike its predecessor, the Skif, the Sineva carries 10 independently targetable re-entry vehicles instead of four. The new missile has a longer range and a modern control system. The submarine, built in 1987, has been recently modernized. It is equipped with 16 Sineva ICBMs missiles and 12 torpedoes. Delta IV-class submarines are currently the deadly arm of Russia’s strategic nuclear submarine fleet. Seven of the series were built between 1984 and 1992. Russia plans to conduct at least 11 test launches of intercontinental ballistic missiles this year and would double the number of launches after 2009. Click here to view the graphics of the launch. 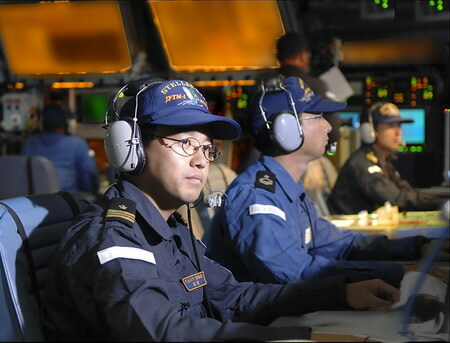 A Japanese Maritime Self-Defense Force destroyer killed a midrange ballistic missile in space on December 17, 2007 with a U.S.-made interceptor in a test conducted off Hawaii. Though the U.S. military has conducted similar successful tests in the past, this was the first time a U.S. ally has destroyed a ballistic missile in space from a ship at sea. The successful test marks a major step forward for Japan to set up its missile shield against North Korea’s missile threats. The target missile was fired from the Pacific Missile Range Facility on Kauai, run by the U.S. Navy. The MSDF’s Kongou, equipped with the Aegis advanced missile tracking system, detected the missile and three minutes later fired its interceptor, destroying the target. 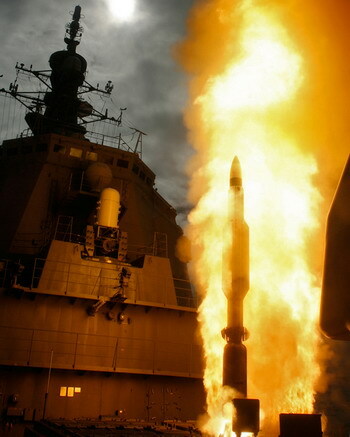 The USS Lake Erie, a guided missile cruiser, tracked the missile target and fed information on it to a command centre. The test target resembled a North Korean Rodong missile. North Korea is believed to have an arsenal of about 200 Rodongs. The Standard Missile-3 interceptor system is designed to intercept incoming ballistic missiles outside of Earth’s atmosphere, while the ground-based Patriot Advanced Capability 3 is designed to intercept descending missiles missed by the SM-3. The cost estimate of the entire missile defense shield project will possibly reach ¥1 trillion. Another sea based US missile test to prove the capabilities of Interceptor missile off Hawaii. Read more from yahoo news.